For riders of GO Transit, the regional public transit service for the GTA and Hamilton Area, the company’s iOS app has been discontinued as of January 2, 2016. 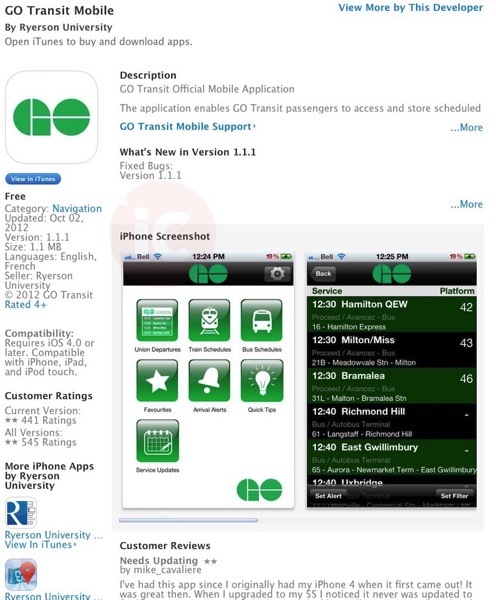 Go Transit for iOS was developed with the Digital Media Zone at Ryerson University, first launched back in 2011, but deteriorated as it lacked updates to keep up with new iOS versions. 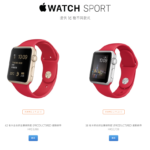 The last update was October 2, 2012 and the app essentially acted as a time capsule for iOS 5 and iOS 6. Metrolinx spokeswoman Anne Marie Aikins explained to The Star the app suffered from technical issues that could not be fixed without “significant” work. Instead, riders are now encouraged to visit gotransit.com on their mobile devices, as the site’s responsive design will adapt to all devices.